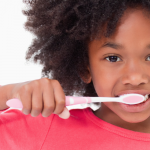 Have you ever wondered about the area of dental medicine concerned with replacing and restoring teeth? That specialty is called prosthodontics. 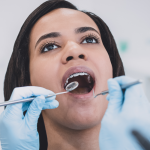 Prosthodontists can help you with complex treatments including dental reconstruction and the treatment of oral cancer, as well as more routine procedures such as dental implants, crowns, bridges, and dentures. Prosthodontic dentures have become a popular choice among patients who want a more affordable option for missing teeth. There are a few types of prosthodontic dentures: complete dentures, overdentures, fixed prosthodontic dentures, partial dentures, and hybrid dentures. Dentures are a custom made replacement made for missing teeth that can be removed and put back into your mouth at any time. Replacing your missing teeth will improve your smile and can help boost your self-confidence. Without the support of the denture, facial muscles will sag over time, aging your appearance. Though they take time to get used to, dentures are more comfortable and natural-looking than ever before! The most affordable dentures are made from plastic prosthetic teeth, however you can also opt for porcelain cosmetic dentures. Even if you choose to get dentures that are on the more expensive side, Penn Dental Medicine’s mission as a dental school allows us to offer lower-cost solutions than you’ll find elsewhere. 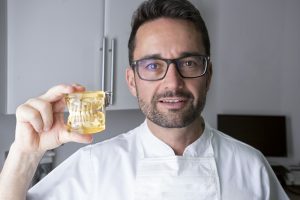 Complete (Conventional) Dentures: These consist of prosthetic teeth attached to a supporting structure, custom-made to replace your teeth when they have been removed. Once gum tissue has healed, a conventional denture can be placed in the mouth. These can be removed at night for cleaning or when desired. The negative side of complete dentures is that they rub against the gums, causing the bone beneath to shrink over time. That’s why, for health reasons, prosthodontists at PDM recommend an option involving implants, such as fixed prosthetic dentures or hybrid dentures. Overdentures: Sometimes, your teeth can be saved. 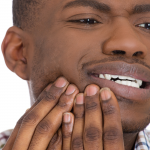 Your natural teeth will preserve your jawbone and provide stability for the denture. 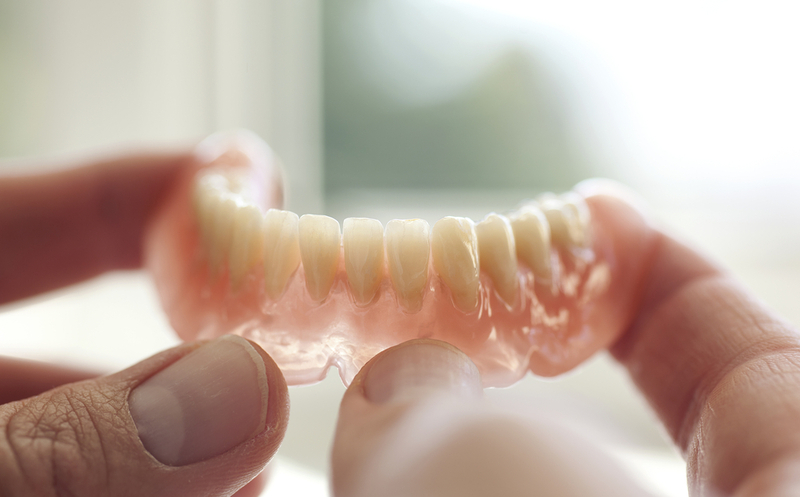 An overdenture fits over a few remaining teeth once they are prepared by your dentist. Fixed Prosthodontic Dentures: Dentists recommend these over removable (conventional) dentures, because they provide more stability. If you lose all the teeth on the top or bottom or will soon have them removed, then fixed dentures supported by dental implants may be the solution for you. You may need between two and four implants. Made of titanium metal, an implant fuses to your jawbone under your gum, providing a base of support to which the dentures are attached. Partial Dentures: A partial denture replaces only the teeth you need. People can get partial dentures when they still have one or more natural teeth in their mouths. The denture is based on a metal framework that attaches to your natural teeth. Sometimes crowns are placed over your natural teeth to act as anchors for the denture. Partial dentures can be removed, unlike bridges, which cannot. Hybrid Dentures: Also called fixed-detachable dentures, hybrid dentures are a cross between a regular denture and a fixed bridge. 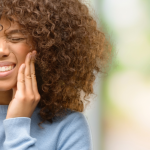 When your jaws have undergone extensive bone loss and you have teeth that don’t need to be taken out, a hybrid denture may be the best option for you. Like fixed prosthodontic dentures, a hybrid denture is anchored to implants placed in your jaw. Unlike fixed dentures, hybrids come with a removable denture. The fixed hybrid denture must be unscrewed to be removed for hygiene maintenance. Prosthodontic dentures can be a great, affordable solution that empower patients to restore confidence after tooth loss. Whatever your situation, the variety of denture types ensure that you can pick what’s right for you. Whether you want fixed or removable dentures, have healthy teeth left or not on your upper or lower jaw, there is a denture solution for you. Get in touch with the specialists at Penn Dental Medicine for a consultation on dentures. Call 215-898-8965 or read more about dentures in this special brochure. Also, be sure to use this $25 off coupon on your first visit!